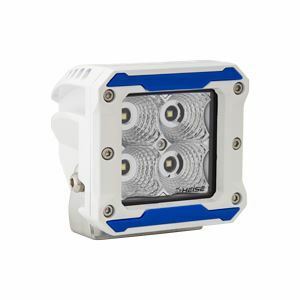 Description Long: Cruise your favorite fishing spot after dark or light up your wakeboard boat using Heise's marine grade 3 Inch 4 LED Cube Light. This 90 degree flood beam provides 960 raw lumens from four 3-watt OSRAM LEDs for plenty of light. Replaceable color accent caps are included to customize the housing. Ideal for deck lighting or spotting fish. 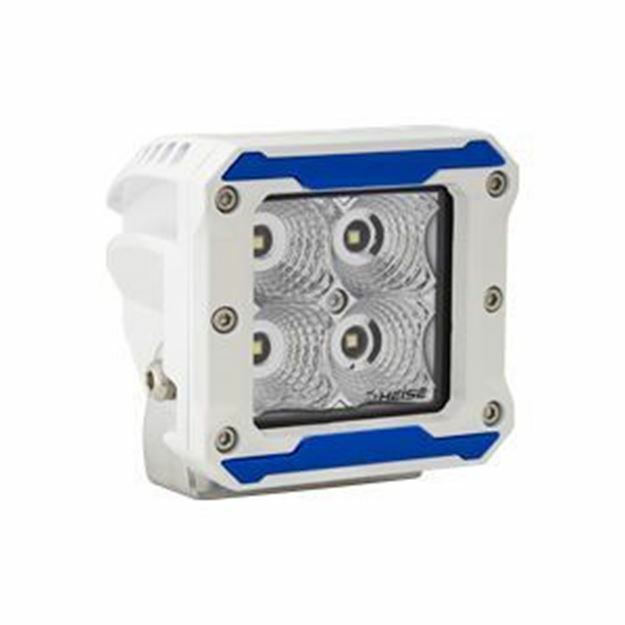 Constructed of die-cast aluminum housing with a gore membrane to prevent moisture, these cube lights are IP68 rated and can withstand the corrosion and water. It can get hit, shaken, banged up and wet - without fear of failure.